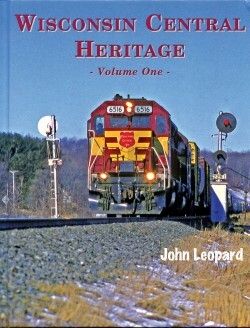 Wisconsin Central Heritage Volume Two features chapters including; Algoma Central Railway “the Route of the Black Bear”, Soo Subdivision, Michipicoten Branch, Northern Subdivision, “Duck Creek North” former C&NW/UP Ore Lines, Ore Operations, Ecanaba, MI, Ore Subdivision, Iron Mountain Subdivision, Iron Ore = Trains Galore, Bradley Subdivision, The Paper Industry, Pulpwood, Ashland Subdivision, White Pine Subdivision, Bessemer Branch, Barron Subdivision, Rice Lake Subdivision, Neenah Subdivision, Stevens Point, Plover Subdivision, Whitehall Subdivision, Valley Subdivision, Wausau, Superior Subdivision, Medford Subdivision, C&NW Twin Ports Line Purchase, Superior and the Twin Ports, Minneapolis Subdivision, Twin Cities Terminal, Dresser Subdivision, and Osceola & St. Croix Valley Ry. 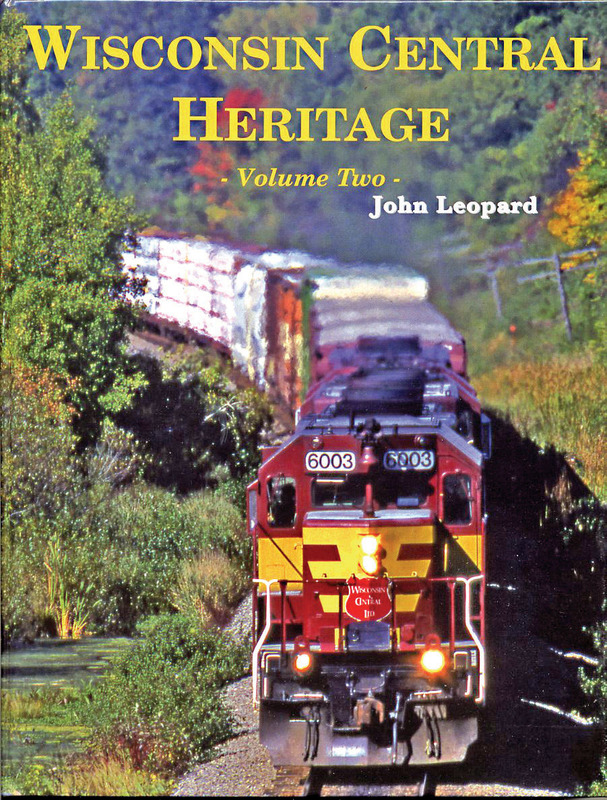 This Volume is presented with extensive text and captions by author John Leopard, and 230 color photographs by many top recognized rail photographers. Don’t miss all the action!